Tournament represents a separate folder on a disk in which the program forms file structure of storage of all elements of competition. Extremely it is not recommended to make change in a folder of tournament by the means which are distinct from the program, in order to avoid infringement of structure of the data. 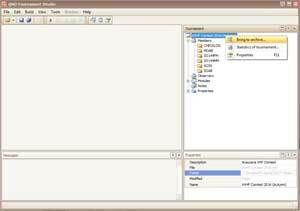 In a folder with tournament the structure subfolders and a file with a name coinciding with a name of competition and having expansion ".xml" is created. This file should be chosen at opening of existing competition by the program. All information on competition (folders, member files, settings, etc.) contains in this folder. Contents of a folder of competition are possible archive (for backup copy creation). To transfer competition on other computer it is enough to copy this folder. In a tournament folder it is possible to create additional subfolders and to place in them the additional information concerning competition (documents, initial files of participants, text versions of reports, copies of UBN-files, etc.). The program does not touch another's folders and files. It is not necessary to make changes to files and folders created by the program. Renaming of a file of competition (xml) and folder of competition is supposed by means of the file processor. Other interventions in competition structure are not welcomed and can destroy competition. The program has the built-in function of an archiving tournament. All folder of competition, together with all the attached files and folders, is located in the archival file of the .zip format. 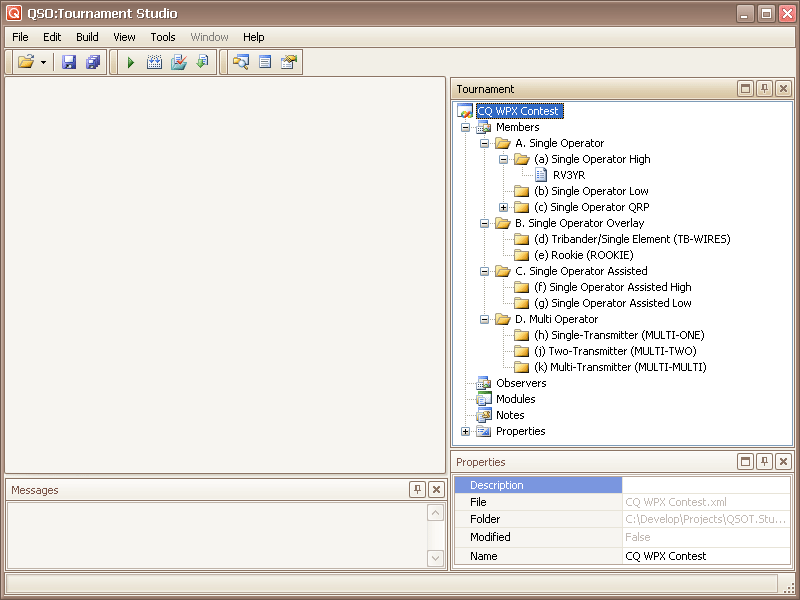 For execution of an archiving: Open competition in the program, right-click on root node in a tournament tree. Choose the "Bring to archive..." command. 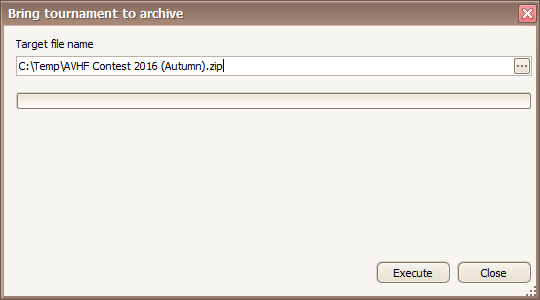 User can choose an arrangement and a name of archive. Button "Execute" run the process. 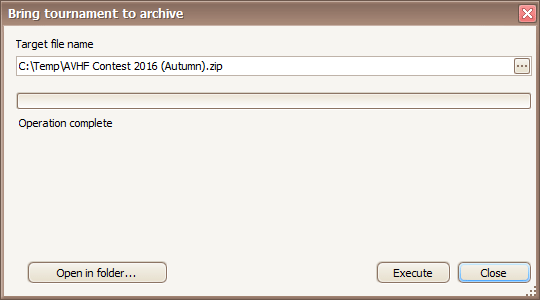 After operation complete archive can be opened in target folder. Use "Open in folder..." button.